Teach for America wanted to create offices that were less about their major corporate branding and more about the regions in which they work. 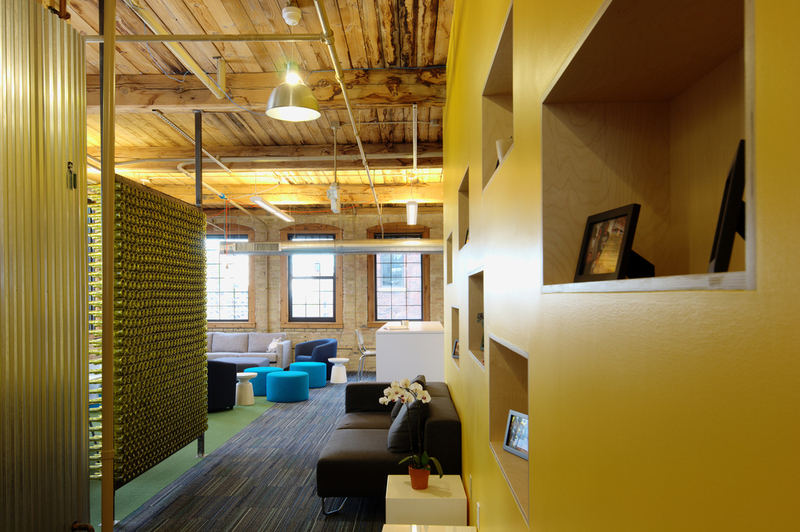 For a large loft with natural rugged materials, we chose corrugated metal, graphics of a local landmark and a wall made of beer bottles to complement and make this office feel like Milwaukee. "PLAN was so responsive and available, I have no idea how they provided me with the level of service they did.